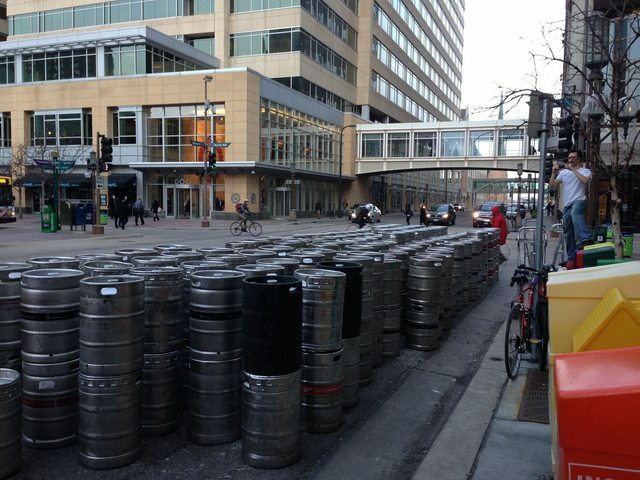 The Local, a popular Minneapolis Irish bar is getting ready for their busiest day of the year, St. Patrick's Day which is this Sunday the 17th, with a shipment of beer so large that it had to be delivered and unloaded on a busy downtown street. The Local has an "80-foot bar featuring a hand-carved back bar, numerous nooks and crannies for exchanging secrets, and ample space in the Whiskey Lounge for telling flat-out lies." And speaking of whiskey, The Local has poured the largest volume of Jameson Irish Whiskey in the world for four-years in a row!